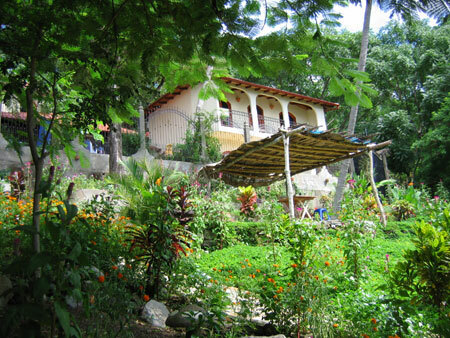 La Orqueidea which opened in May of 2005 is the only private guest house snuggled in the crater on the shores of Laguna de Apoyo. 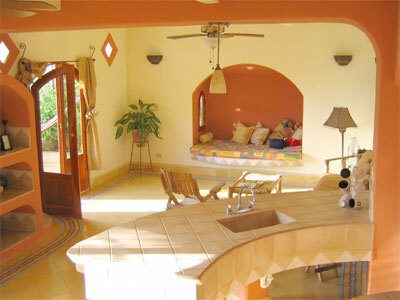 It has been designed as your "home away from home" with complete kitchen, private bath, living and dining areas. Balconies from both levels of the home provide spectacular views of the cleanest laguna in Nicaragua and you guessed it, orchids everywhere. 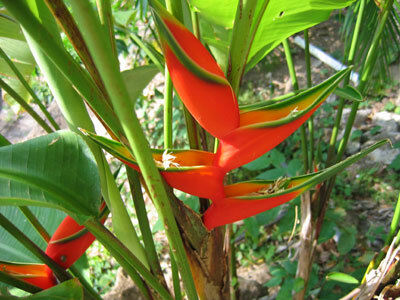 The tranquil enviroment is home to countless migrating and indigenous birds. We hope you will enjoy your time relaxing here, and soaking up the sun, taking a hammock on a two hour ride to nowhere or hiking the crater your house sits in. 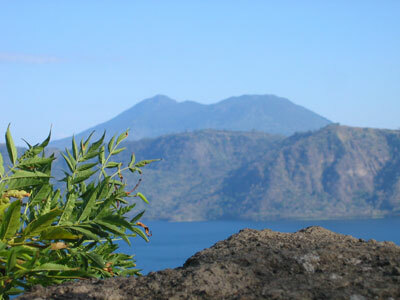 However if you're more inclined to see the area surrounding Laguna de Apoyo we offer private tours to the towns of Granada and Masaya, day hikes to Volcan Mombacho or Volcan Masaya. We can also arrange transportation to the pacific coast only 90 minutes to the ocean. The two story guest house can accommodate up to 6 people. 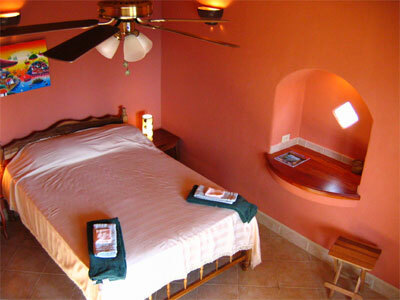 La Orquidea provides an alternative to hotels and crowded hospedajes. We look forward to seeing you soon. For more information feel free to contact us or call us at (505) 8872-1866.